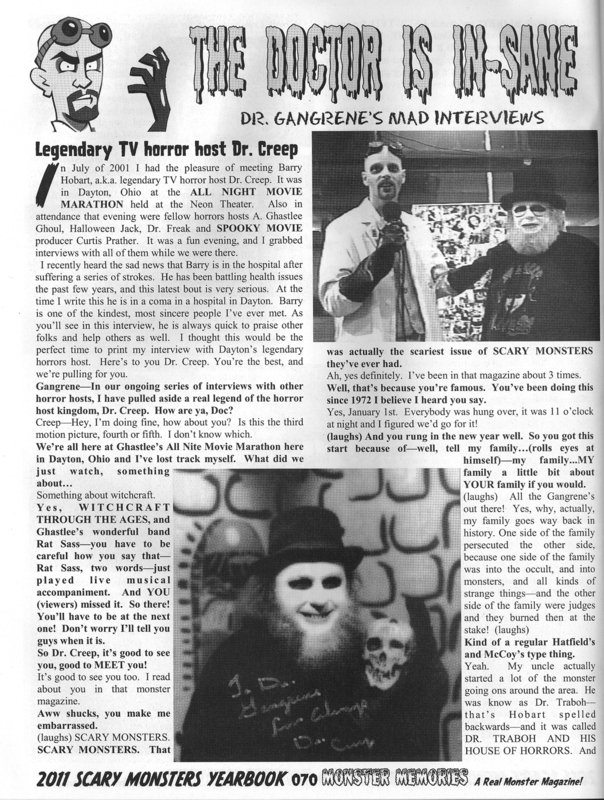 In this issue I pay tribute to legendary Dayton, Ohio horror host Dr. Creep, aka Barry Hobart. At the time I wrote this Barry was sick in a coma at the hospital. 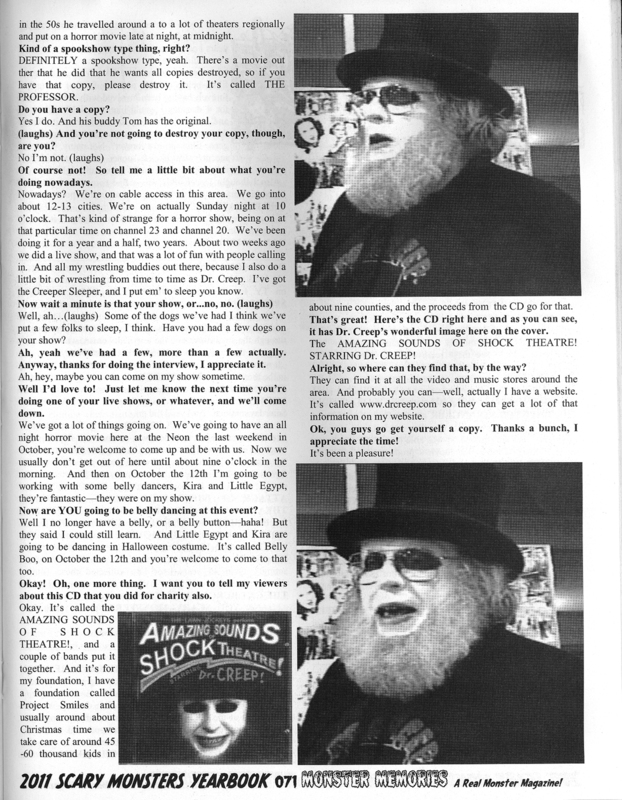 I had heard from good freind and fellow horror host A. Ghastlee Ghoul that Barry probably wouldn't make it through, and thought I'd pay tribute by transcribing my interview with him from July, 2001. Long live the memory of Dr. Creep! 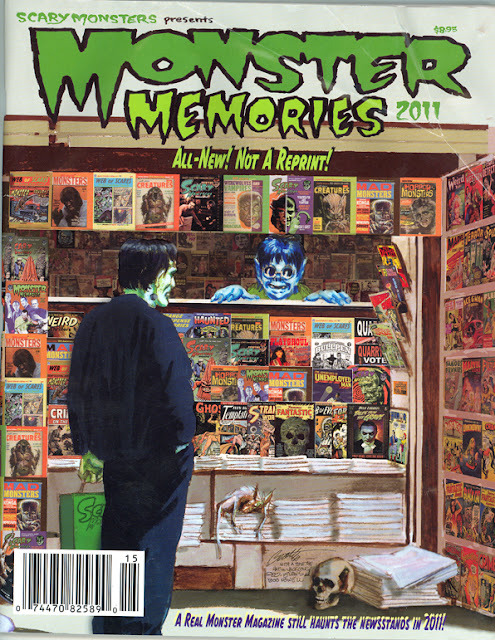 Click to enlarge pages.